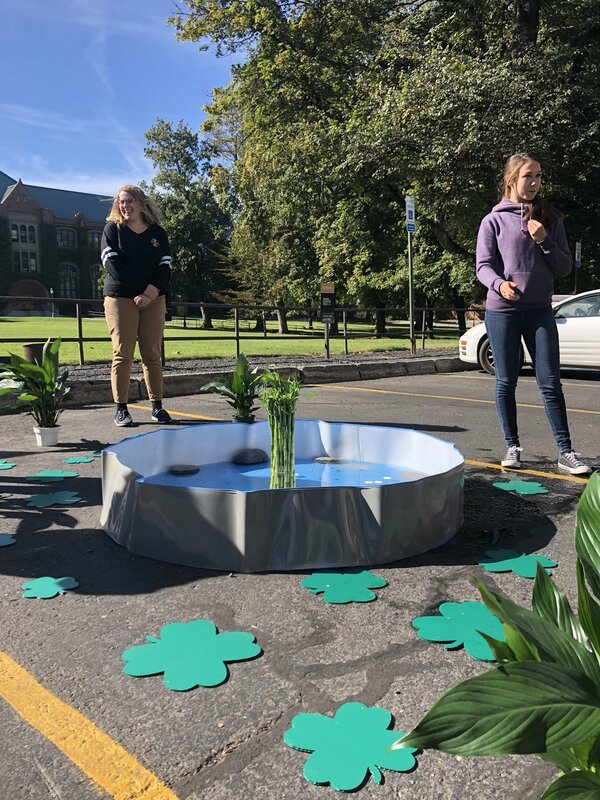 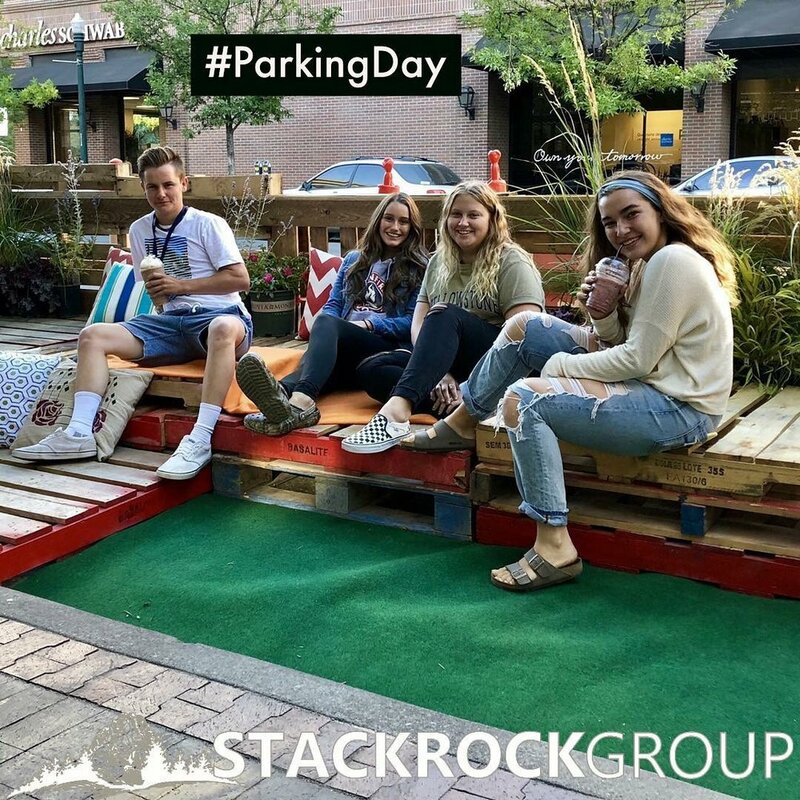 PARK(ing) Day is an annual event that encourages community members, students, and designers to transform parking spaces into temporary parklets. 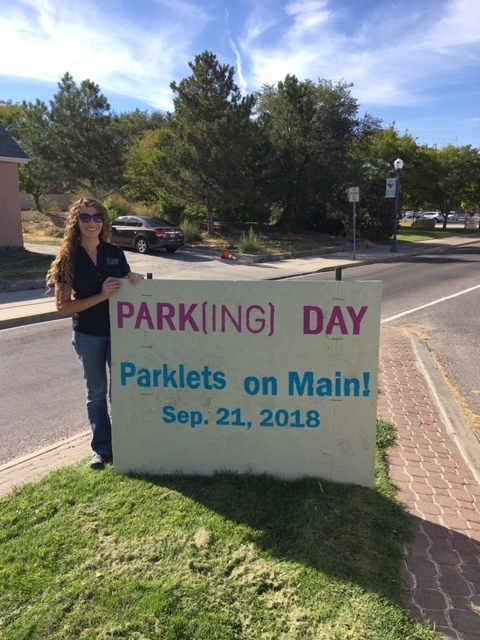 This event occurs annually in hundreds of cities in dozens of countries on every permanently-inhabited continent on earth. 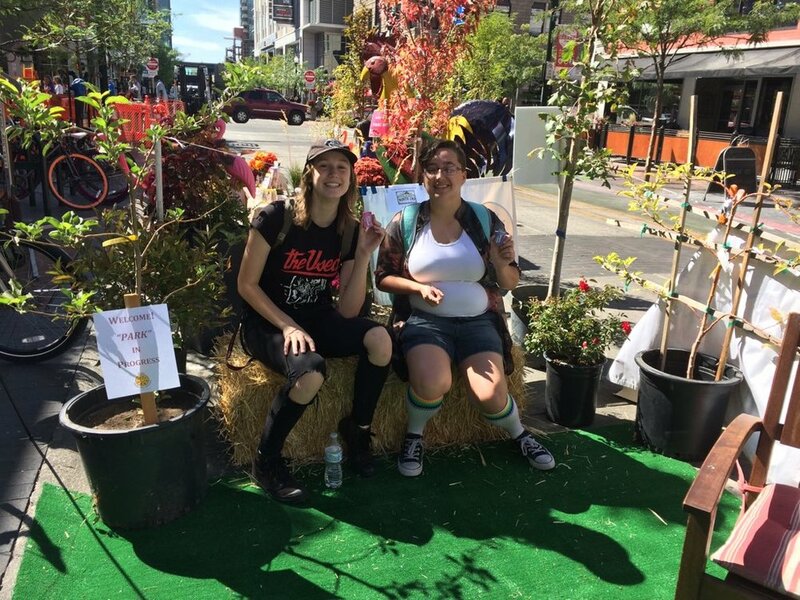 While PARK(ing) Day may be temporary, the image of possibility it offers has lasting effects and is helping to shift the way streets are perceived and utilized. 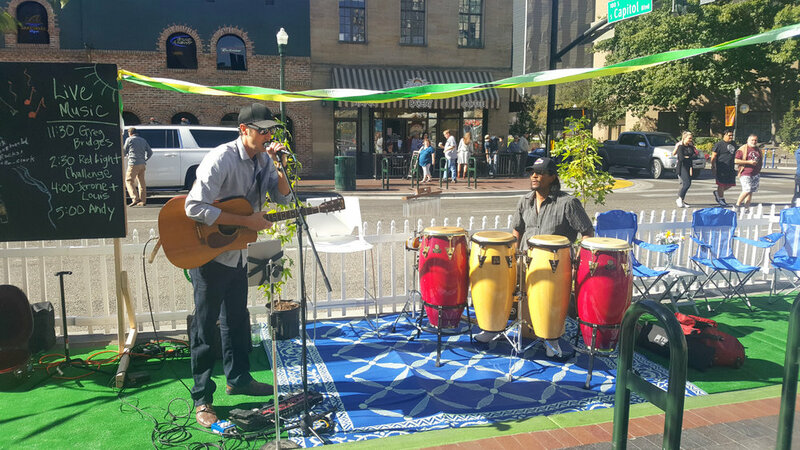 This year we really stepped up our parklet game! 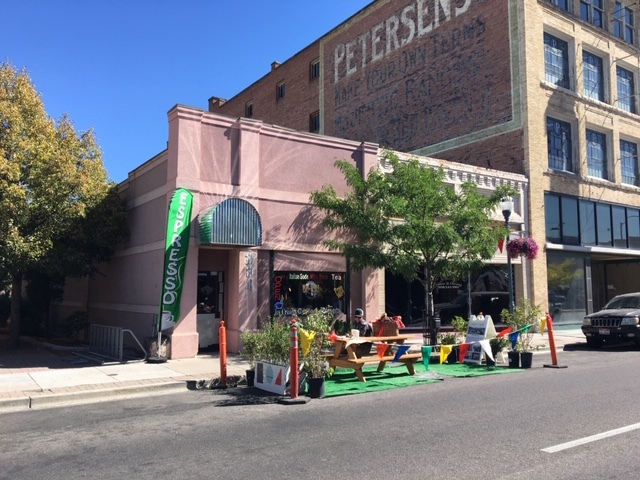 There were 19 parklets, that I know of, total- Moscow (3), Coeur d’Alene (1 block party), Boise (6), Pocatello (7), and Bozeman (1). 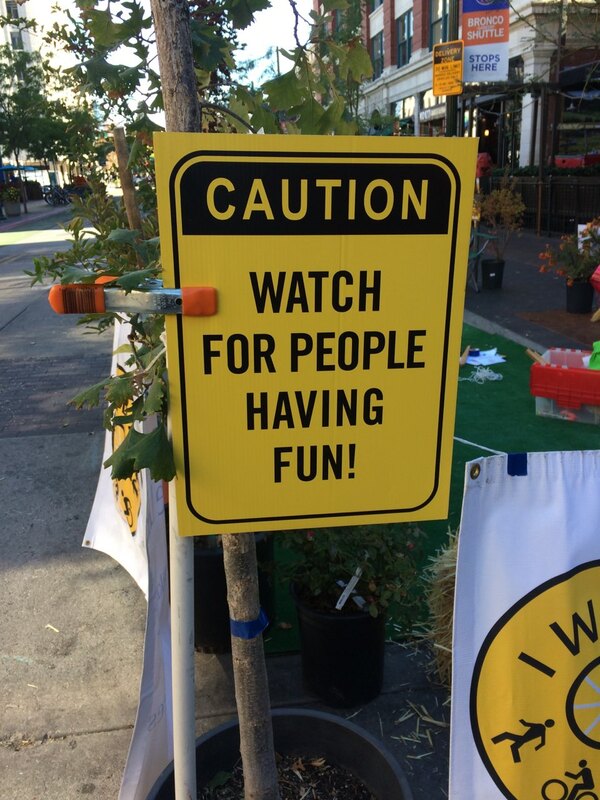 That is a dramatic increase from last year which is exciting! 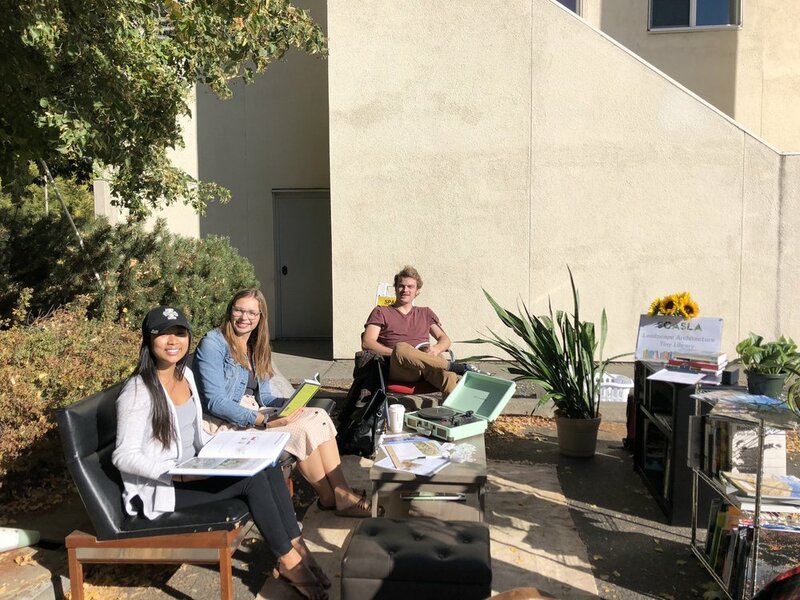 These were not all ASLA associated parklets but since ASLA is all about promoting this event, they were all on the ASLA parklet map. 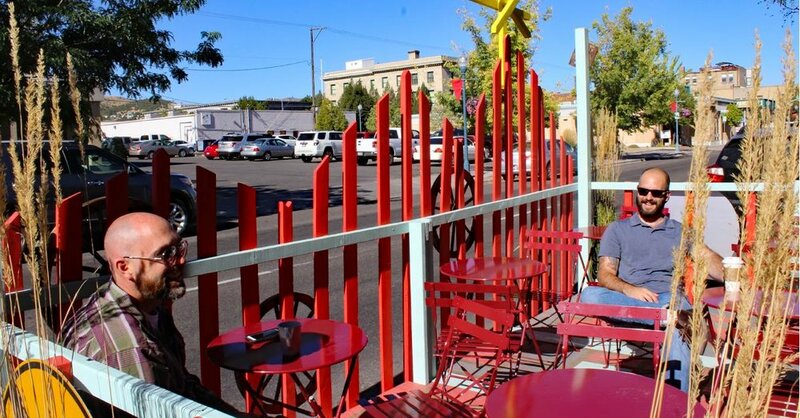 There was a news piece on the Pocatello parklets in the Idaho State Journal and there will be an article about all the parklets in Idaho coming out in the near future in the Idaho Business Review. 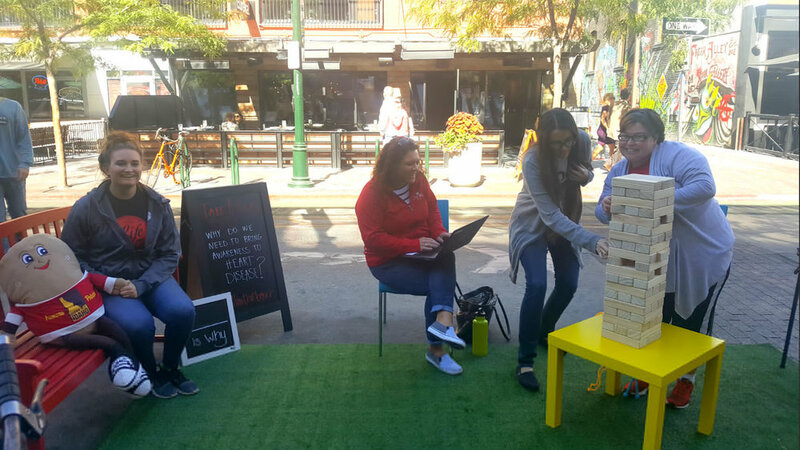 Next year when you are in the planning stage of PARK(ing) Day, make sure to get the media involved to help raise awareness! 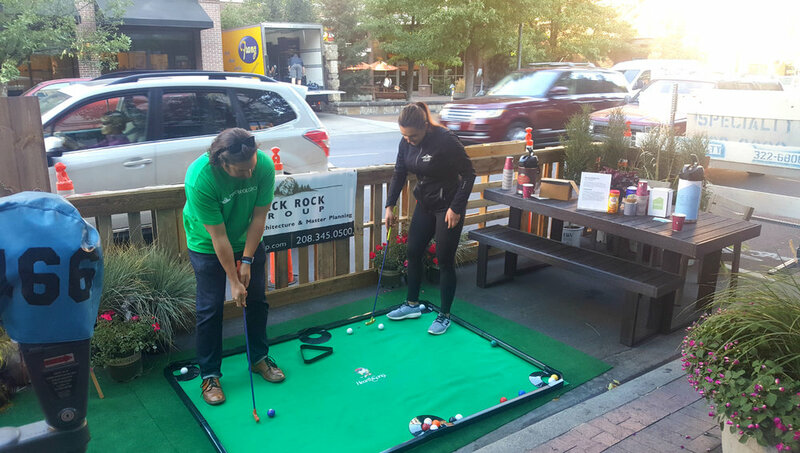 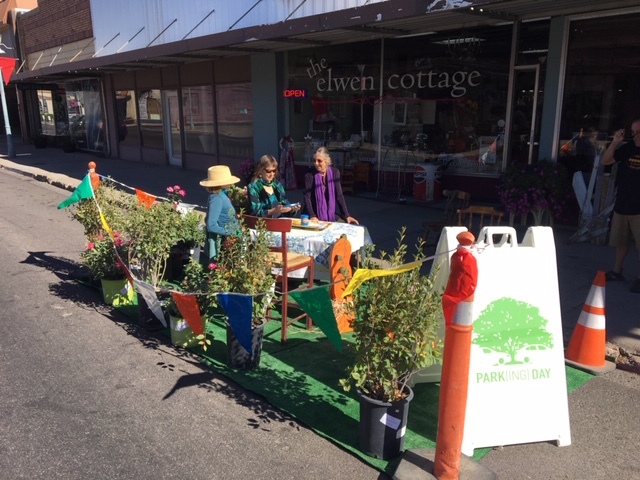 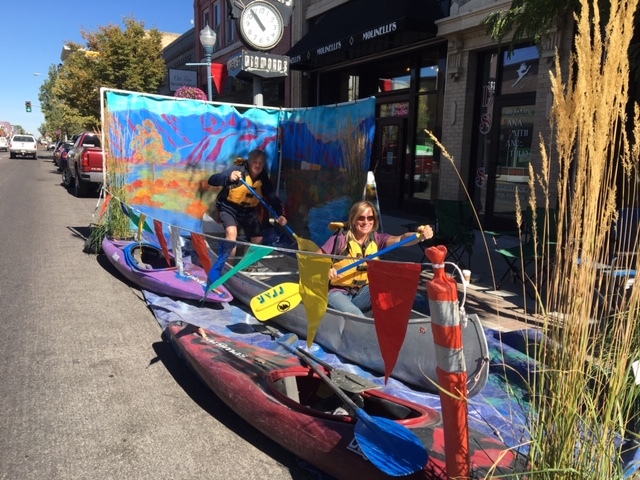 The City of Coeur d’Alene organized the Sherman Block Party pilot project in conjunction with PARK(ing) Day. 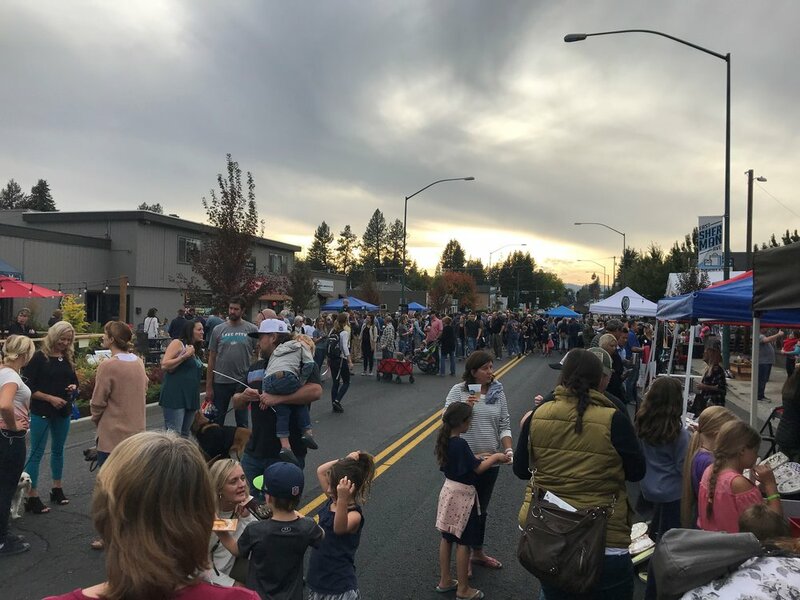 This function was very successful with over 1,500 people attending! 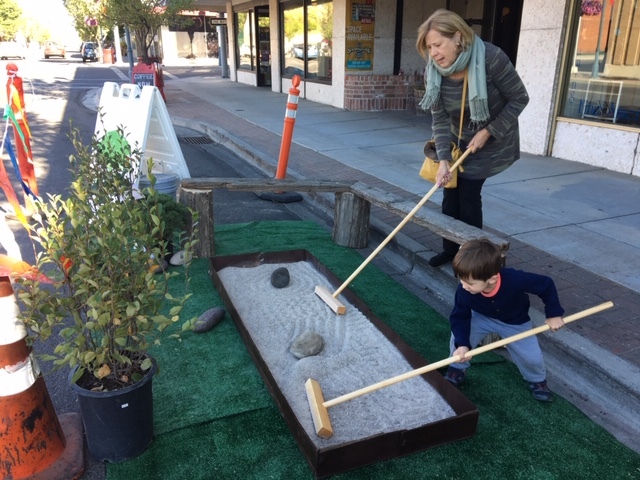 The pilot project design maintained the current location of the sidewalks, removed the center turn lane (except at intersections), and added diagonal parking on one side of the street. 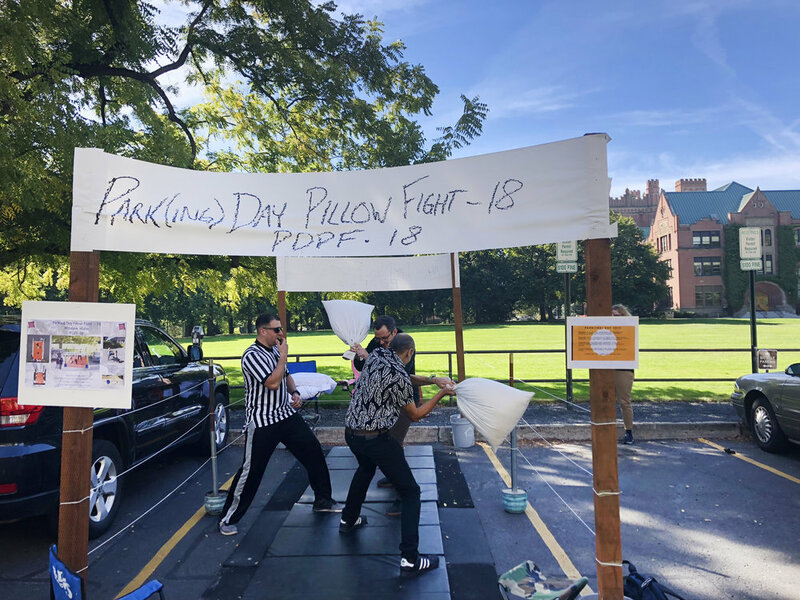 Furthermore, this project results in five additional parking spaces on this block. 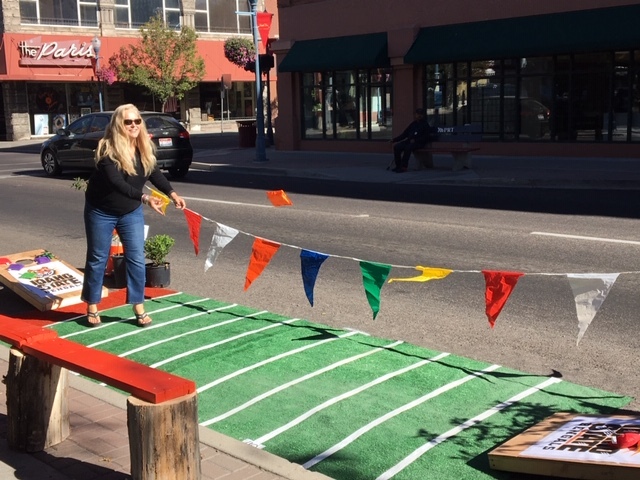 The pilot project also includes planters, benches, temporary curb extensions, artistic crosswalks, bike parking, and some curbside seating in a “parklet”.